Fishing Report: Spring Time Sails And Tunas! Spring Time Sails And Tunas! Just in time for tournament season to begin, the meat fish bite has been heating up! The sails are still around and chewing, right along side of the meatfish bite! This is what makes springtime fishing so much fun! Right now you can get out and grab a variety of Sailfish, Mahis, BlackfinsBlackfins, and big kings. We've even had a few shots at a Wahoo on the kite baits. This is the time to start fishing wire on everything. The sails will still eat on the wire, but right now you may want to turn your sights to the meatfish. You'll get tight and stay tight way more often if you tip your Bullbuster Leader with some wire. Another huge plus to this time of year is the massive amount of bait that starts to roll through. Gogs are around, but the "small bait" like sardines, pilchards, and threadfin herring are starting to show up. 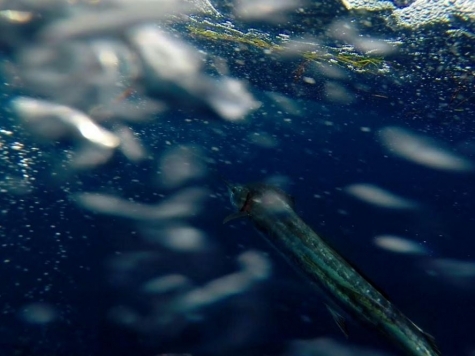 This time of year, our favorite live bait is a big sardine the size of a stick of butter! And just as juicy to a big king. More reports from this coming weekend soon! 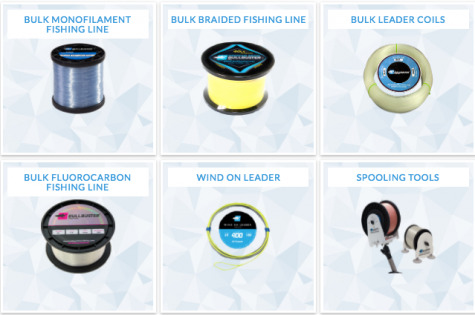 PELAGIC MIXED BAG... CLICK HERE! "The bait starts to come back, the Kingfish bite heats up, the big Blackfin Tuna start to show up, the Mahis are in shallow, the Wahoo chew around the moons, and there are still loads of Sailfish around. " With the official first day of spring right around the corner, we couldn't be more stoked. Spring is our favorite time of year for fishing offshore because everything seems to go ballistic. The bait starts to come back, the Kingfish bite heats up, the big Blackfin Tuna start to show up, the Mahis are in shallow, the Wahoo chew around the moons, and there are still loads of Sailfish around. Each of these factors add up and you end up having a great mixed bag of fishing. This is exactly what happened over the past few days. After checkin' out the Dania Flea Market on Saturday, we had a nice window of NE wind so we went out for an afternoon session. Inside of 3 hours of fishing we ended up 3/4 on Sailfish with a couple of nice Kings which we actually managed to hook rather than getting bit off. We had bites all up and down the water column and even picked up a sail on the down bait.